Matt and Jeff talk with Billy Vera about his new big band album. Vera is a verbal fountain overflowing with music industry wisdom, cautionary tales and stories…lots and lots of stories. In this industry, there’s not much that Vera hasn’t done. While you know him best as the musical voice behind “At This Moment,” an ‘80s pop culture moment which is frozen in time for quite a few people, he has in fact done so many more things beyond simply having a career in music. His first hits in the ‘60s were followed by songwriting in the ‘70s for other artists (including “I Really Got The Feeling,” a number one hit for Dolly Parton) and then the ‘80s found Vera branching out even further. He made movies (Buckaroo Banzai, anyone?) and television appearances (with a stint as bandleader for the short-lived Into the Night late night television show hosted by Rick Dees) and also moved into producing other artists, most notably working with Lou Rawls on four albums. Vera channeled his love of music history into helping to produce, archive and write liner notes for over 200 reissue albums and box sets. The liner notes for the Ray Charles Singular Genius: The Complete ABC Singles box set just earned Vera his first-ever Grammy Award this year after several prior nominations. 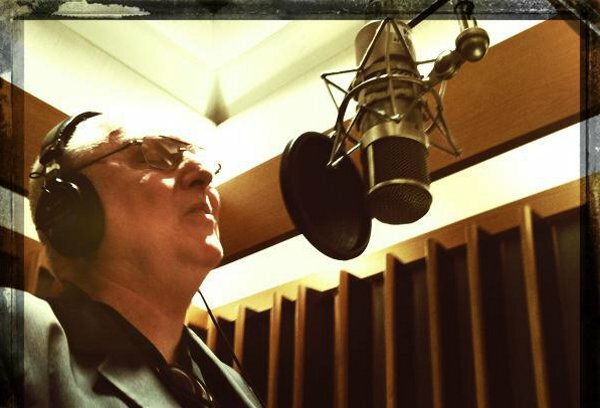 In the midst of all of the above, Vera has been making music with his band, Billy Vera & the Beaters, for more than three decades. The Los Angeles-based group is well-known for their legendary live shows and for having four horn players in the lineup (a nod to the size of the bands that Little Richard and Ray Charles were employing in the ‘50s). We spent over an hour talking with Billy about a wide range of topics, including the new album, his continuing work as a music historian, a memorable encounter with Sherman Helmsley and of course, we had to ask what it was like sharing the stage with James Brown. This conversation with Billy was truly a thrill — a bucket list conversation crossed off the list, replaced with a hope that we can follow this one up with many more. Because from talking to Vera, it’s clear that there are still plenty of stories to be heard. Visit Billy online at his website to get more information about the Big Band Jazz album as well as the latest tour dates.